With all of the World’s conflicts, terrorist activity, political unrest, combined with rouge nations like North Korea and Iran racing towards nuclear power, the threat of dirty bombs grows. People have expressed concern about dirty bombs and what they should do to protect themselves if a dirty bomb incident occurs. Because your health and safety are our highest priorities, the health experts at the Centers for Disease Control and Prevention (CDC) have prepared the following list of frequently asked questions and answers about dirty bombs. An atomic bomb, like those bombs dropped on Hiroshima and Nagasaki, involves the splitting of atoms and a huge release of energy that produces the atomic mushroom cloud. A dirty bomb works completely differently and cannot create an atomic blast. Instead, a dirty bomb uses dynamite or other explosives to scatter radioactive dust, smoke, or other material in order to cause radioactive contamination. What are the main dangers of a dirty bomb? The main danger from a dirty bomb is from the explosion, which can cause serious injuries and property damage. The radioactive materials used in a dirty bomb would probably not create enough radiation exposure to cause immediate serious illness, except to those people who are very close to the blast site. However, the radioactive dust and smoke spread farther away could be dangerous to health if it is inhaled. Because people cannot see, smell, feel, or taste radiation, you should take immediate steps to protect yourself and your loved ones. What immediate actions should I take to protect myself? These simple steps—recommended by doctors and radiation experts—will help protect you and your loved ones. The steps you should take depend on where you are located when the incident occurs: outside, inside, or in a vehicle. Cover your nose and mouth with a cloth to reduce the risk of breathing in radioactive dust or smoke. Don’t touch objects thrown off by an explosion—they might be radioactive. Quickly go into a building where the walls and windows have not been broken. This area will shield you from radiation that might be outside. Once you are inside, take off your outer layer of clothing and seal it in a plastic bag if available. Put the cloth you used to cover your mouth in the bag, too. Removing outer clothes may get rid of up to 90% of radioactive dust. Put the plastic bag where others will not touch it and keep it until authorities tell you what to do with it. Shower or wash with soap and water. Be sure to wash your hair. Washing will remove any remaining dust. Tune to the local radio or television news for more instructions. If the walls and windows of the building are not broken, stay in the building and do not leave. To keep radioactive dust or powder from getting inside, shut all windows, outside doors, and fireplace dampers. Turn off fans and heating and air-conditioning systems that bring in air from the outside. It is not necessary to put duct tape or plastic around doors or windows. If the walls and windows of the building are broken, go to an interior room and do not leave. If the building has been heavily damaged, quickly go into a building where the walls and windows have not been broken. If you must go outside, be sure to cover your nose and mouth with a cloth. Once you are inside, take off your outer layer of clothing and seal it in a plastic bag if available. Store the bag where others will not touch it. Shower or wash with soap and water, removing any remaining dust. Be sure to wash your hair. Tune to local radio or television news for more instructions. Close the windows and turn off the air conditioner, heater, and vents. Cover your nose and mouth with a cloth to avoid breathing radioactive dust or smoke. If you are close to your home, office, or a public building, go there immediately and go inside quickly. If you cannot get to your home or another building safely, pull over to the side of the road and stop in the safest place possible. If it is a hot or sunny day, try to stop under a bridge or in a shady spot. Turn off the engine and listen to the radio for instructions. Stay in the car until you are told it is safe to get back on the road. If your children or family are with you, stay together. Take the same actions to protect your whole family. If your children or family are in another home or building, they should stay there until you are told it is safe to travel. Schools have emergency plans and shelters. If your children are at school, they should stay there until it is safe to travel. Do not go to the school until public officials say it is safe to travel. If you have pets outside, bring them inside if it can be done safely. Wash your pets with soap and water to remove any radioactive dust. Should I take potassium iodide? Potassium iodide, also called KI, only protects a person’s thyroid gland from exposure to radioactive iodine. KI will not protect a person from other radioactive materials or protect other parts of the body from exposure to radiation. Since there is no way to know at the time of the explosion whether radioactive iodine was used in the explosive device, taking KI would probably not be beneficial. Also, KI can be dangerous to some people. Will food and water supplies be safe? Food and water supplies most likely will remain safe. However, any unpackaged food or water that was out in the open and close to the incident may have radioactive dust on it. Therefore, do not consume water or food that was out in the open. The food inside of cans and other sealed containers will be safe to eat. Wash the outside of the container before opening it. Authorities will monitor food and water quality for safety and keep the public informed. How do I know if I’ve been exposed to radiation or contaminated by radioactive materials? People cannot see, smell, feel, or taste radiation; so you may not know whether you have been exposed. Police or firefighters will quickly check for radiation by using special equipment to determine how much radiation is present and whether it poses any danger in your area. 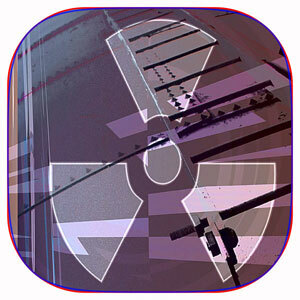 Low levels of radiation exposure (like those expected from a dirty bomb situation) do not cause any symptoms. Higher levels of radiation exposure may produce symptoms, such as nausea, vomiting, diarrhea, and swelling and redness of the skin. If you develop any of these symptoms, you should contact your doctor, hospital, or other sites recommended by authorities. This entry was posted in Year Zero Survival Blog and tagged Armageddon Doomsday Survival Mayan prophecy 2012 World war 3 Freeze dried MRE Dehydrated Omega Man Nuclear war Preppers Bomb shelter Nitro-pak Potassium iodide, CDC, dirty bomb, dirty bombs, disaster, emergency food supply, exposure, iodine tablets for radiation, Nuclear Power Plant and Terrorism (including Explosion, PREPPER NETWORK, Preppers, rad, radiation, SHTF by staff-writer. Bookmark the permalink.